Have you ever had an idea completely flop? Have you ever felt nothing you try to do ever works? Like your work is just not good enough? Have you tried everything you can think of and still haven’t accomplished your goals? You’re not alone. Failure is part of the creative process and something that adds enormous value to our work and fuels the next creative idea. As Albert Einstein once said “Failure is success in progress”. It’s the only way to grow and become better. The conference Epic Failures is being organized by our friends, Viktoria Mahrberg, Birgitte Arndt, and Henriette Boe Ketilsson over at AKÏN, and Sylvie Shiwei Barbier. These four successful women in the arts have joined forces to organize this important event that will take place at Ostello Tasso on April 28th. For us here at CPiF, this is a truly meaningful event since we ourselves have had our fair share of what seemed to be epic failures, not only while creating and developing the group, but also in our own personal practices. We hope you will join in for an evening of talks by some diverse and accomplished speakers discussing the role of failure in their success. Here is a brief description below, or you can read about it in more detail here. What did you learn from your failures, both professional and personal? How did these failures lead you to create a specific project? Ultimately, how did these failures bring you to where you are today? 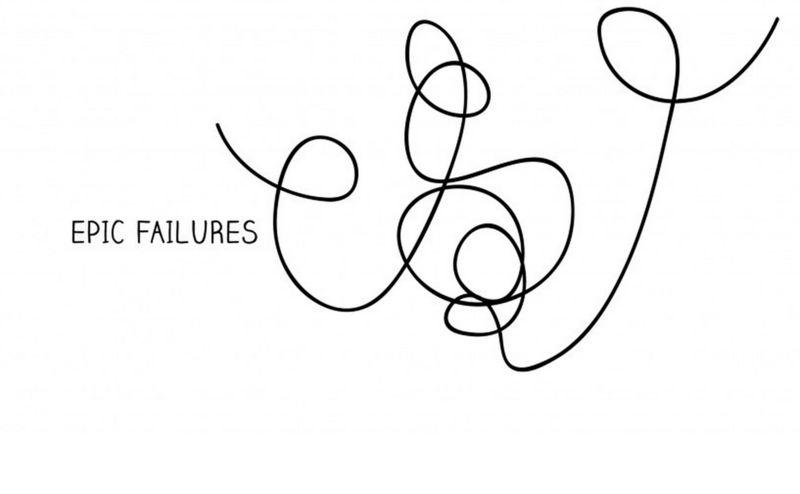 A process is not always linear, but non-sequential and always navigated by failures. Consequently the goal of EPIC FAILURES is to gather professionals into sharing their stories, their process; how they overcame their mistakes and how failures, more often than not, open new doors. The stories of errors are not told; yet success is always paved by mistakes! EPIC FAILURES is a conference talk that celebrates creativity and entrepreneurship, built through failures, by providing a networking-platform across industries and communities. We are a bimestrial event, hosting between four to five speakers. Speakers are based in Florence, and will speak for 15min, followed by a Q&A and panel. Drink and snacks included in the price. Ostello Tasso: Via Villani 15, Firenze.